‘On Infertile Ground‘ is an independent documentary created by a multiple award winning crew of Canadian film-makers. 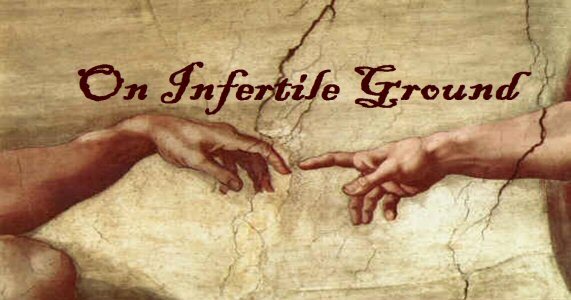 Several on the team are going through these trials themselves, so they have a unique perspective to provide on the subject of Infertility, Adoption and IVF. It is rare when a film-maker gets to do a project that they are so closely emotionally tied to, and even rarer in this case since the subject has seldom been covered in film. This film will share the motivations and journeys of couples facing infertility issues, delving into the emotional struggles, as well as the hope that burgeoning science and medicine provide to overcome the obstacles in starting a family. Along with expert perspectives and celebrity interviews, we will be following several couples along their quest to start a family. Heartbreak and Joy, Hope and Despair… These journeys will introduce the audience to a subject that has been largely hidden from public view. Odds are you know someone who is facing infertility… and odds are they haven’t told you. She wanted to have a child with her husband she just couldn’t do it. I felt so bad for her. I mean, I love her and I read online that there are natural solutions to it. So I took it upon myself and started digging. She has been successful with it and has a new born healthy baby!. Amazing right? Hope this helps you too, just like it helped her.